The Latisse® compound (Bimatoprost ophthalmic solution) 0.03% is an FDA- approved prescription treatment for short or thin eyelashes. 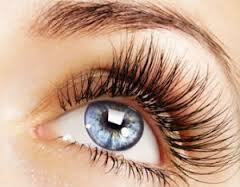 The eyelash growth treatment gives you fuller longer lashes quickly and effectively. Long eyelashes are beautiful. Both men and women suffering from thin or short eyelashes, clinically referred to as Hypotrichosis, will turn to Latisse® for the longer, fuller lashes and see amazing results. Women enjoy the results, especially when they apply their makeup and mascara. How quickly will I see eyelash growth? Latisse® works quickly, within a few days; you will begin seeing a difference in the length and fullness of your lashes. Once you stop using Latisse®, your lashes return to their normal and original appearance. *DO NOT APPLY Latisse® on the lower eyelashes. It is a prescription, and must be used under doctor’s care. If you have eye pressure problems, have taken or are currently taking any medication, discuss it with your doctor prior to use. Many patients use Latisse® without experiencing any side effects, but the manufacturer outlines some safety concerns you should be aware of prior to using your eyelash growth prescription. Latisse® works great in growing hair and it will grow it where ever it touches. Following the strict application instructions is crucial, otherwise you will end up with hair in areas you do not want. Does Latisse® work on thinning eyebrows? It is approved for eyelash growth, we’ve all been guilty of experimenting, but Latisse® is approved and intended for eyelash growth, specifically. If you’re experiencing thinning eye brows and want a brow restoration, talk to you cosmetic provider about the options available to you. If you’ve used Latisse® and experienced other side effects not mentioned above, you are encouraged to report any negative side effects. Visit http://www.latisse.com for more information. Most Patients are in favor of this product. They love the quick non-invasive results of fuller, longer, darker lashes they get from Latisse®.